Yersinia are Gram-negative bacillus-shaped bacteria, belonging to the family Enterobacteriaceae. Yersinia enterocolitica and Yersinia pseudotuberculosis infections cause the disease yersiniosis, which is an animal-borne disease occurring in humans. Yersiniosis is, after infections by Salmonella and Campylobacter, the third most common bacterial gastrointestinal disease in Germany and Europe. The biggest risk factor is the consumption of raw pig products, like ground pork or minced meat. In contrast to traditional methods, which are time consuming and error-prone, the foodproof Yersinia enterocolitica plus Yersinia pseudotuberculosis Detection Kit offers high sensitivity, 100 % specificity and results in only 24 hours. 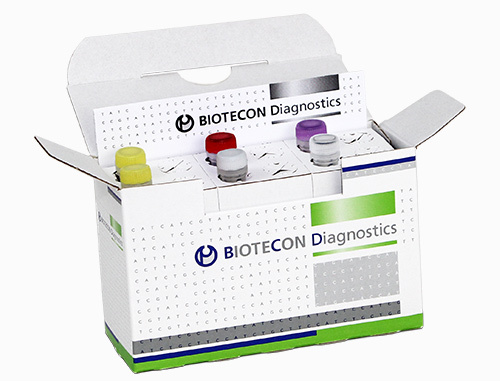 In just one single test, the kit detects and discriminates between Yersinia enterocolitica and Yersinia pseudotuberculosis. The foodproof Yersinia enterocolitica plus Yersinia pseudotuberculosis Detection Kit is compatible with all relevant matrices such as pork minced meat, other raw meat and sausages, vegetables as well as other matrices like surface water samples. A rapid and easy DNA extraction with the foodproof StarPrep One Kit is possible.